Putting to rest doubts that it might be cancelled, the State Department announced Tuesday that senior United States and Russian officials will hold a meeting on Friday in Washington to discuss issues leading up to September’s G-20 in St. Petersburg, Russia. Secretary of State John Kerry and Defense Secretary Chuck Hagel will meet with their Russian counterparts, Sergey Lavrov and Sergey Shoigu, at the State Department. Washington’s anger over Russia’s granting temporary asylum to NSA leaker Edward Snowden, as well as disagreements between the two countries on other issues, including Syria, led the White House to question whether the meeting was worth holding. State Department spokeswoman Jen Psaki said the officials will discuss the New Start nuclear treaty, Afghanistan, Iran’s nuclear program and efforts to end the conflict in Syria. The White House is also reviewing whether President Barack Obama will still hold a planned summit with Russian President Vladimir Putin. That meeting would be held around the G-20 in Moscow. Obama is STILL being schooled by the world. Bring Snowden home in chains and put him in the basement. Good grief James, is that the best you can do? 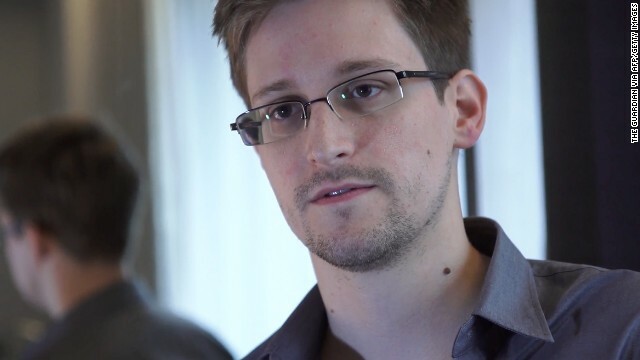 Aren't you kind of ashamed of your ignorance about Edward Snowden? This man did all of us a great service and you want him in chains! Who programmed you into that trend of thought? The Tea Partiers, I presume. @GeorgePatton,your namesake would of tracked Snowden down put his pearl handled 45 colt to Snowdens head and shot him dead as a traitor..Now how's that phunnie boy,go home to your sand dunes!! Snowden isn't the issue, per se. Instead the issue is Russia's actions. As we learned decades ago, we cannot simply shrug off Russia's decision and decided to "move on". If we do that, Russia will decide that we will accept just about anything they do. There should be a visible response by the US to deny, or withhold something that Russia wants, even if it is only largely symbolic. This is a smart move. The right-wingers in Washington need to quit making an issue out of the Snowden case and drop all charges against him. After all, Edward Snowden did nothing wrong! As time goes by Snowden will become more and more irrelevant...Russia won't stand for Snowdens antics and Putin if upset may send him to Siberia to chill for awhile to get that new Russia feeling he never got here! !Welcome to Mother Russia Snowden now get lost!! Bin Snowden in snowy Siberia. It sounds like a match made in heaven. What an ignorant comment this is! Good grief Xenomorph, you must be another vacant headed Tea Partier or at least you sound like one!!! @George Patton,hey phunnie boy read up on who tea baggers are and I'm a democrate that don't take liking trolls as you too much..Much like the troll in California I had a talk with on another site,you guys run in pairs don't yah!! Pete, you are obviously the troll. Please learn how to spell little boy. @California,I don't have any spelling,grammar problems troll..Go back and read the question I sent yah the other day and try if you can to answer it if you're smart enough..You're the little boy here and you've proved it many times troll!! This is a good sign that people are wising up to the fact Snowy is really a nobody. Snowden is a "somebody" as events sorrounding his leaks confirms. He has told us his reasons so please don't judge him by hiding behing a computer and posting thrash.....Let's watch and see how this plays out! I hope Obummer does not embaress the U.S.A.
@Joxer,Pres.Obama is getting back our respect we lost under that moron Bush remember the shoe incident,just one of many for our expresidencial clown!! Bet that'll be a fun meeting! The two presidents try to squeeze each others hand tighter than the other guys until it turns in to a arm wrestling contest.